AT THE heart of a high-profile plagiarism case that has shaken up Indian academia is a gene. Called codA, the gene was obtained from Norio Murata, professor at Japan’s National Institute for Basic Biology, for a joint project with the Centre for Biosciences in Delhi’s Jamia Millia Islamia (JMI) 20 years ago. Under the Indo-Japanese research project initiated in 1996, codA, a bacterial gene, was used to develop India’s first transgenic lines of mustard (brassica juncea) to enhance tolerance to salinity stress. It was a major breakthrough even if the outcome of the research, production of transgenic mustard resistant to abiotic stress, was not used in the field. The results obtained with expression of codA in a local mustard variety (Pusa Jai Kisan), earned its lead researcher K V S K Prasad his doctoral degree (PhD) under the supervision of his professor P Pardha Saradhi, then a reader with JMI. Together they published two papers in Molecular Biology and Plant Science in 2000. But within a few years of that landmark publication, codA has opened a Pandora’s Box of scandal in the University of Delhi (DU), with a high-profile court case involving its former vice-chancellor Deepak Pental. 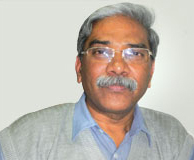 The crux of the case filed in 2009 by Saradhi, who had moved to DU as professor in its Department of Environmental Studies, is that Prasad plagiarised huge chunks of the research done at JMI and passed it off as his new research after he joined Pental in DU at its South Campus Centre. P PARDHA SARADHI is tenacious. This mild-mannered professor at the Department of Environmental Studies at the University of Delhi (DU) has exposed some extraordinary cases of misdemeanour by its senior professors. Despite repeated complaints made by Saradhi, the government’s Department of Science and Technology (DST) has refused to act, although the project was funded by it. Instead, it has refused to provide the documents sought by Saradhi under an RTI (right to information) application. As the case wound its way through the courts before it reached Delhi High Court, Saradhi was suspended on grounds of administrative and academic lapses and charges of sexual misconduct filed against him. “These were all cooked up cases launched just to persecute me. Even my PhD students were constantly harassed,” says the man who has for long been campaigning against plagiarism and lax regulations in DU (see ‘They asked me to withdraw my court case’). His suspension was revoked by the High Court in December 2014. The court case hit the headlines in late November 2014 because a Delhi magistrate ordered the arrest of Pental, not because of the alleged plagiarism but on the more serious charge of allowing the use of GM (genetically modified) material without regulatory approval. GM material comes under the hazardous category because any uncontrolled release could cause serious damage to the environment. Pental was briefly in the Tees Hazari Court lock-up before he was released on bail. In 2000, Prasad was awarded a Young Scientist project by DST—this was to evaluate the potential of codA gene to enhance abiotic stress in mustard—when he was part of Pental’s team in the Department of Genetics, DU-South Campus. Saradhi says he accidentally came across a progress report on the project submitted by Prasad and was “shocked to find that the progress listed by Pental’s research team was part of what had been achieved by my team at JMI”. In a detailed analysis of Prasad’s project report, Saradhi claims to have found at least 30 verbatim lifts from the JMI thesis. Suspecting that the gene and the GM seeds were also taken from his laboratory and used without authorisation by Pental’s team, Saradhi approached DST seeking relevant information on the Prasad project for which public funds had been used (Rs 11.22 lakh). More important, he wanted to know whether regulatory approvals had been sought for the research. 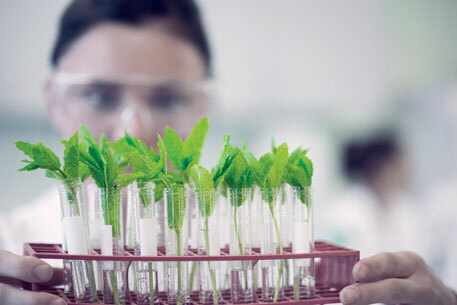 Under the Environmental Protection Act, it is mandatory to get permission for generating and handling GM organisms and plants, starting with approval from the Institutional Bio-safety Committee (ISBC). DST has admitted that it has no document of approval by ISBC. “As a learned and distinguished member of scientific community directly dealing with transgenic plants, Prof Deepak Pental must be fully aware of the consequences of this and must be asked to explain,” he points out in a letter written to DST. No action has been taken. Pental has not responded to queries from DTE on this issue.